Xiaomi is best in providing budget Smartphones specifically to India and China, and now they have brought a new mid-range Sub brand to the World known as ‘Poco‘. With its first Mid-range Smartphone Poco F1.Poco F1 as Xiaomi says it is the “Master of Speed”, it gives quite nice specs for the Price. Poco F1 has Snapdragon 845 Flagship processor with AIE 845, it has 10nm class chip which gives extraordinary performance taking less power and making Power efficient. It has the most Powerful GPU of Adreno, the Adreno 630,which also claims to have 30% improved performance over Adreno 540. 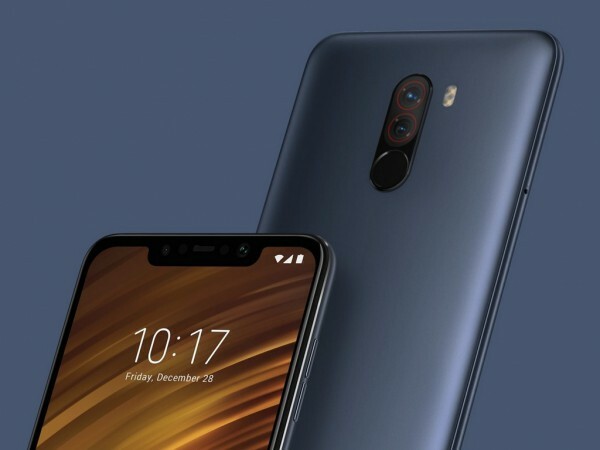 As this is a Powerful Device Xiaomi Poco F1 also has a Liquid Cooling Technology which makes it Fast and Cool killing the slow response time and frozen screens.Now As it is a Powerful Smartphone Xiaomi put a 4000 mAh Battery, It provides enough power for 30 hours of calling or 146 hours of audio playback on a single charge. 4000 mAh battery took much time to get fully charged, Xiaomi has killed that Problem by providing Quick Charge 3.0 Technology.Talking about the Camera it has 12MP + 5MP AI dual camera which features dual pixel autofocus and Instant Autofocus. It has a large 1.4μm pixel sensor in the Main lens, which enhance the photo brightness, clarity and quality which drastically improves autofocusing speed, especially when in motion or in low-light conditions. Camera also features Portrait mode for the best in class Selfies. It has Electronic Image Sbalisation (EIS) for video shooting and it has Hardware multi-frame noise reduction.This Phone is AI enabled giving us feature AI Scene detection, which means its cameras can intelligently differentiate across 206 scenes and automatically adjust exposure, saturation, and other photo optimizations. Poco F1 has Flagship class 20MP high-res sensor Camera, featuring 4-in-1 Super Pixel technology gives you attractive selfies. For more Beautification and Quality Shots it has AI Beautify 4.0 and precise bokeh effect. Poco F1 specifically has MIUI and Xiaomi claims it is lighter, faster, and Smoother. As it has a Super new Technologies inbuilt, it gives you a much faster app starting experience, more sensitive swipe, Touches and more. Xiaomi Specially Designed The brand new MIUI customizable App Drawer for POCO, Its Launcher intelligently categorizes your apps and makes searching for them easier and faster. Xiaomi also says MIUI for POCO will keeps the phone secure with latest patches and updates from Google. For more Data Security Poco F1 has a IR face unlock Which is obtained with infrared light sensor and infrared camera, making the face unlock face unlock instant and secure even in the dark rooms. Xiaomi always care for new Design so they let the Poco back panel built with DuPont Kevlar aramid fiber. This fibre is super-tough, and heat-resistant Its Wise texture gives POCO F1 a gracious look and makes it stand out among competitive products. And Thankfully Xiaomi Hasn’t skipped any Ports should be on a Smartphone. And Poco F1 Sports a 18.7:9 edge to edge display protected by the Corning Gorilla Glass, making it highly resistant to wear and tear. 5 MP, f/2.0, 1.12µm, depth sensor Dual-LED flash, HDR, panorama. Priced Start from 20,999 INR & and will be Sold by Flipkart.